The EU Data Protection Regulation ("GDPR") is a new legislation on the processing of personal data. This legislation will ensure, among other things, that everyone has control over their personal data and knows exactly where and how they are used. Data you upload or collect must be processed according to GDPR. It is important that you are aware of your responsibility as a data owner. If you are going to process personal data (such as name or e-mail address), you must enter into a data processing agreement with EasyQuest. Registered users of EasyQuest, those who respond to a survey and visitors to our webpages are all covered by our Privacy Statement. The document tells us what information we collect, how we use this information and your rights. We take our role as data processor and your data security very seriously. You have full control and ownership of your data. You can delete a survey response, all responses, entire surveys or your account at any time. Our application and all data you collect in a survey are located at Microsoft Azure in the Netherlands. To protect the information, we use 128-bit Secure Socket (SSL) technology for all communication. SSL encrypts communication between a web browser and EasyQuest. Everyone who works with EasyQuest has signed strict confidentiality statements. We use sub-processors for some of our services. All sub-processors located in the US have active Privacy Shield agreements between the EU and the US. 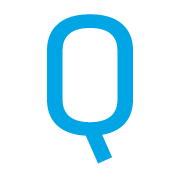 Sign up for a powerful EasyQuest FREE account now. It is Free forever.